Montgomery County Memorial Hospital moved to its present location at 2301 Eastern Ave. in 1989. The hospital reflects the progressive attitude of the people of Southwest Iowa who contributed more than $860,000 to the building fund drive. The first hospital in Red Oak was established in 1907 by four physicians, Drs. Gillmor, Lawrence, Seabloom, and Reiley, in a building located at the intersection of Fourth and Washington streets in Red Oak. At that time, the 15-bed hospital was used primarily for cataract surgery. The City of Red Oak accepted a bequest of $40,000 from Thomas D. and Ina C. Murphy and created the Murphy Memorial Hospital Trust which then purchased the hospital building and continued operations there. A new 26-bed hospital was built on Highland Avenue. The Section 1 wing was built in 1951, adding another 18 beds with the help of a generous gift from Oscar and Margaret Shepard. Highland Acres, a long-term care unit, was added in 1961. This section of the building was later adapted to hospital use when additional space was needed. Thirty-seven acres of land north of Highway 34 and Eastern Avenue was purchased for a future hospital site. Montgomery County voters approved the transfer of Murphy Memorial Hospital to County ownership in a special election. 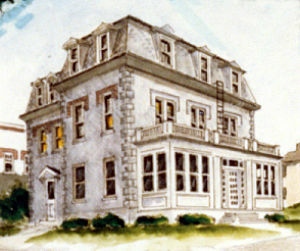 The facility then became known as Montgomery County Memorial Hospital. A new hospital facility was constructed at its present location of 2301 Eastern Avenue. The opening of the new hospital on August 26, 1989 marked the fulfillment of many years spent in healthcare planning. The newly constructed physicians center opened. This addition provided space for physicians practicing in the Red Oak Physicians Clinic, Red Oak Internal Medicine Clinic and also space was provided for a general surgeon and a retail pharmacy. A renovation of 10,000 square feet in the hospital lower level was completed to create a conference center as well as space for the education, home health, and support departments. A new entrance was created that included an expanded canopy and gift shop at the hospital main entrance. This project was funded by hospital capital funds and a three year commitment of donations by the MCMH Auxiliary and MCMH Foundation. The hospital's clinical pharmacy was expanded. A new outpatient clinic was constructed. This new addition put all outpatient clinics in one convenient location, improving access for patients. This new addition also provided for an expanded emergency department and administration department, and the remodeling of laboratory, imaging, medical records, surgery and rehabilitation services. A renovation was completed in the Advanced Care Unit and the employee fitness center was expanded. A chapel was added near the clinic lobby. 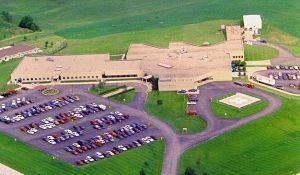 MCMH acquired 12.5 acres of land adjoining the west property line for future expansion.